INDUSTRY.co.id - Jakarta - A total of 2,500 villages in Papua are immediately illuminated through biomass energy, solar energy, water energy, and wind. This plan becomes part of the memorandum of understanding of investment investment A-Wing Group Japan with PT Bintang Angkasa Berjaya in Jakarta, Wednesday (28/2/2018). This Memorandum of Understanding was signed by A-Wing Group Chairman Hirohide Nakamura with PT Bintang Angkasa Berjaya, Fikar Rizky Mohamad. A-Wing Group Japan among others engaged in renewable energy. In addition to the A-Wing Group, investment cooperation also involves PT Syarfi Financial Technology, a sharia-based service company. President Director of A-Wing Group Indonesia, Ananda Setiyo Ivvanto, who attended the signing of the MoU, said that 2,500 villages to be powered from renewable energy are part of 12,500 villages that have not been powered by electricity. Each village is built by a plant derived from biomass, organic waste in the local village, said Ivvanto. 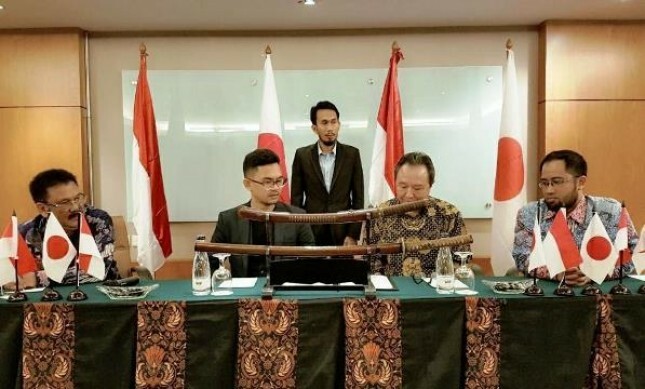 After signing the memorandum of understanding, which was attended by the founder of checknricek, Ilham Bintang, Hirohide Nakamura hoped this cooperation could be realized soon. I believe we can soon realize this dream, Nakamura said. Fikar welcomes Nakamura's wishes. This cooperation, according to him, investment cooperation is not only beneficial for both parties, but also for the Indonesian nation. It is a beginning that In Sya Allah is beneficial to as many people, he said. The understanding of Bintang Berjaya Angkasa's investment with A-Wing Group Japan includes not only power plants with renewable energy, but also e-commerce, which involves ceknricek.com and Syarfi. The products from Japan, which Indonesian consumers need, will appear on e-commerce checknricek.com, said Fikar, who is also CEO of Ceknricek.com. PT Bintang Angkasa Berjaya previously worked with PT Regio Aviasi Industri (RAI) which is the owner of patent and aircraft manufacturer R80. In the partnership, Bintang Berjaya Berjaya is enlisted to be the fundraising organizer of Indonesian Diaspora around the world.